Residents of our beautiful community have a range of activities from which to choose. 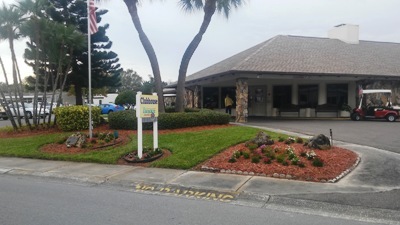 A typical month's offerings include: Water Aerobics, Billiards, Live Entertainment, Pinochle, Bridge, Mahjong, Craft Club, Bingo, Monthly Dances, Men and Women's Golf, Darts, Bowling League for Men and Women, Monthly Potluck dinners, Computer Club, and the always popular Shuffleboard, Bocce Ball, and Horse Shoes. Also the wonderful swimming pool and the warm water spa for aquatic enthusiasts. 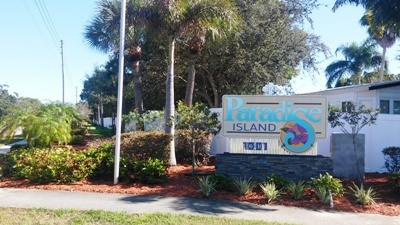 Paradise Island Church in the Park is part of our community and is a Non-Denominational Christian Church where EVERYONE is welcome! Service is on Sunday at 9:30 am in the clubhouse. 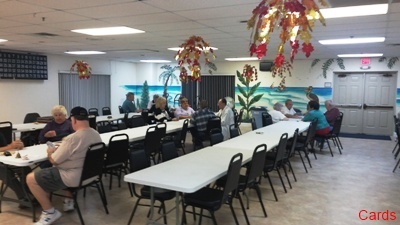 Below are photos of some of the activities enjoyed by the residents and guests of our Paradise Island community. Also in the surrounding area of our community are Golf Courses, Shopping and if necessary, excellent Medical Facilities! The community is close to many attractions presented on the Area Resources page.